The Central Ohio Symphony is Drumming Up the Big Give on Tuesday, Oct. 10, at the Symphony office, located at 24 E. Winter Street in downtown Delaware next to the Strand Theatre. The office will be open from 6 to 8 p.m. for those wanting to donate during the Big Give, a 26-hour online fundraiser through the Columbus Foundation. People can access the Symphony’s computers to make donations. Those making a donation can then participate in a short drum circle after 7 p.m. in celebration. The drum circle will be led by Executive Director Warren Hyer, who directs the Symphony’s acclaimed Reconnecting drumming program. Light refreshments will be served at the office and board members and volunteers will be available to meet and greet visitors. The Central Ohio Symphony brings music to more than 17,000 audience members every season. The symphony also has engagement programming in education, health care, the courts, and with many agencies in a five-county area. 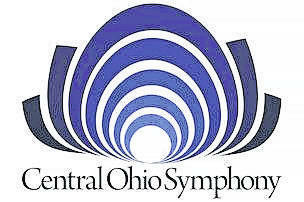 For information about the Big Give, visit www.columbusfoundation.org or call the Symphony at 740-362-1799.